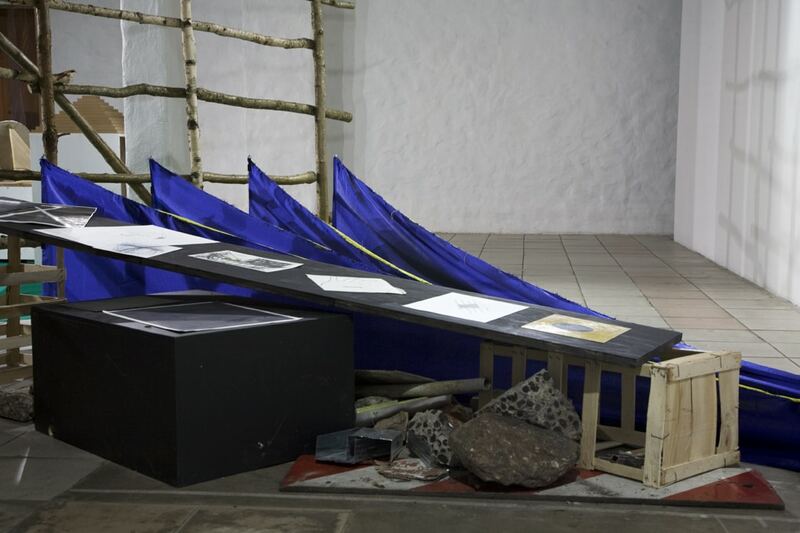 The present exhibition by André Sousa is a site-specific installation for Kim? developed in discussion with curator Margarida Mendes. Parallel to the exhibition, a printed publication will be specially made for the occasion, based on a correspondence of ideas and images that occurred during winter and spring 2012 between the artist and the curator. André Sousa (b.1980) lives in Porto and has been showing regularly across Europe for ten years. He was a resident artist at Kunstlerhaus Bethanien in Berlin, and Spike Island Centre of Contemporary art and Design in Bristol, U.K. Since 2002 André has been widely active in the artistic scene of his hometown in the north of Portugal, where he has been directing several artist run spaces and other collaborative projects, such as “PêSSEGOpráSEMANA” (2002/07), “Mad Woman In The Attic”(2005/09), and “A Certain Lack of Coherence” (since 2008). 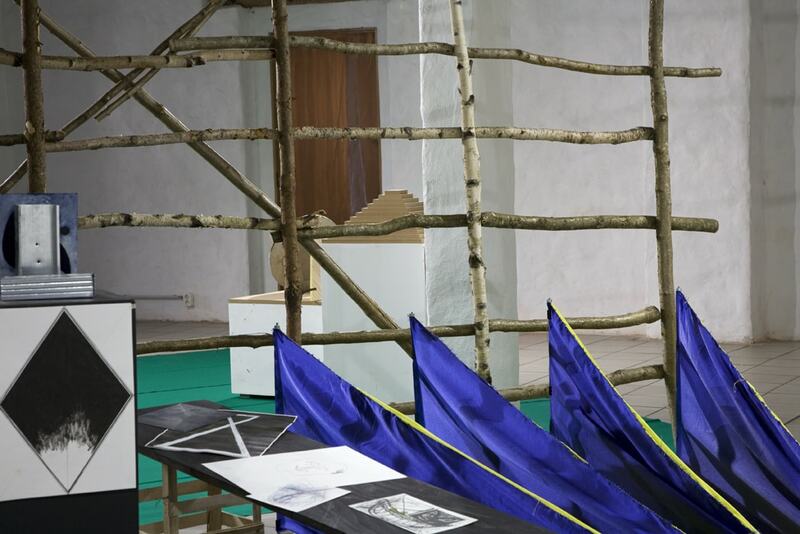 Margarida Mendes, has since 2009 directed the art space The Barber Shop, in Lisbon, where she conducts a program of symposiums, screenings, and ephemeral installations, inviting international cultural agents to share their research projects. She holds a Masters degree in Aural and Visual Culture by the Goldsmiths University of London. 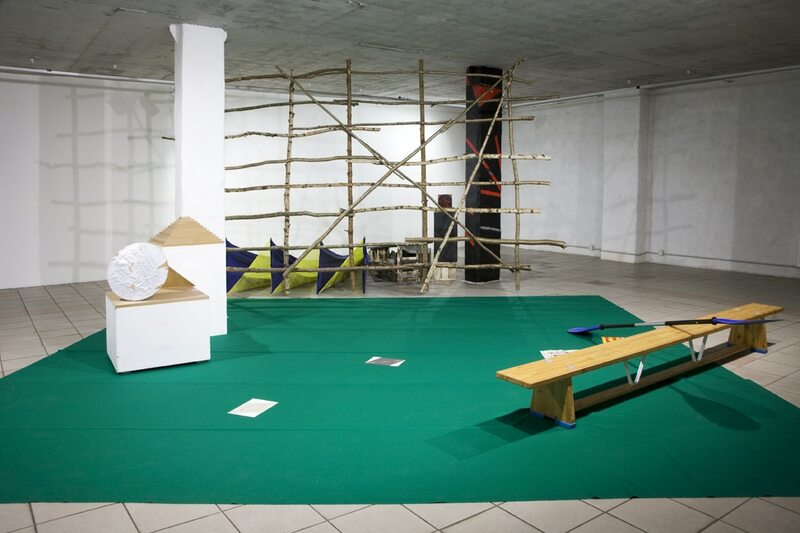 André Sousa and Margarida Mendes have often collaborated in exhibition projects, such as “Verde nos Limos, Branco na Areia, Pardo no Lodo” at the Round The Corner in Lisbon, “Freezing Freeze” at The Barber Shop, or “Part-ilha” at Spike Island Centre of Contemporary art and Design, Bristol.